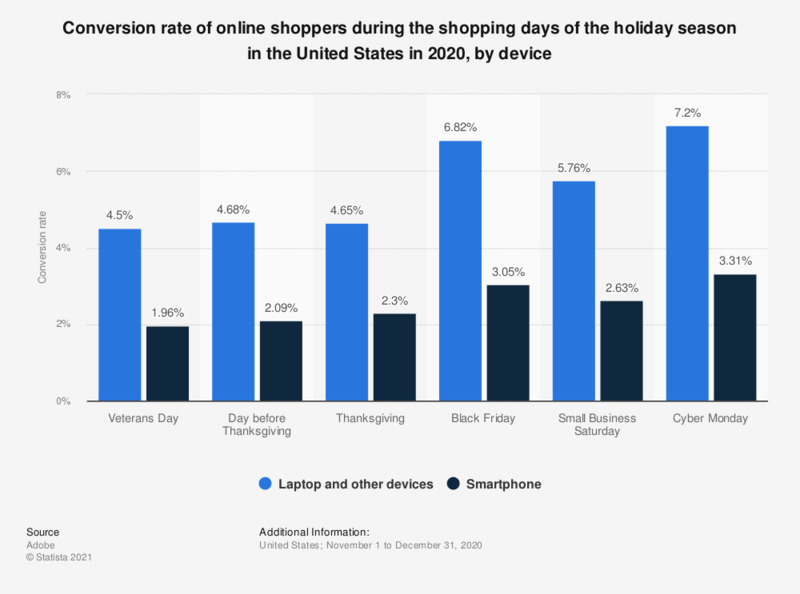 This statistic gives information on the U.S. holiday season online shopping conversion rate in 2018, sorted by device. During the Thanksgiving to Cyber Monday shopping weekend, the smartphone shopping conversion rate amounted to 3.2 percent, compared to 2.3 conversion rate of the total season. Where did you purchase your gift cards this holiday season? Canada: Do you expect to attend a special Christmas service in December?